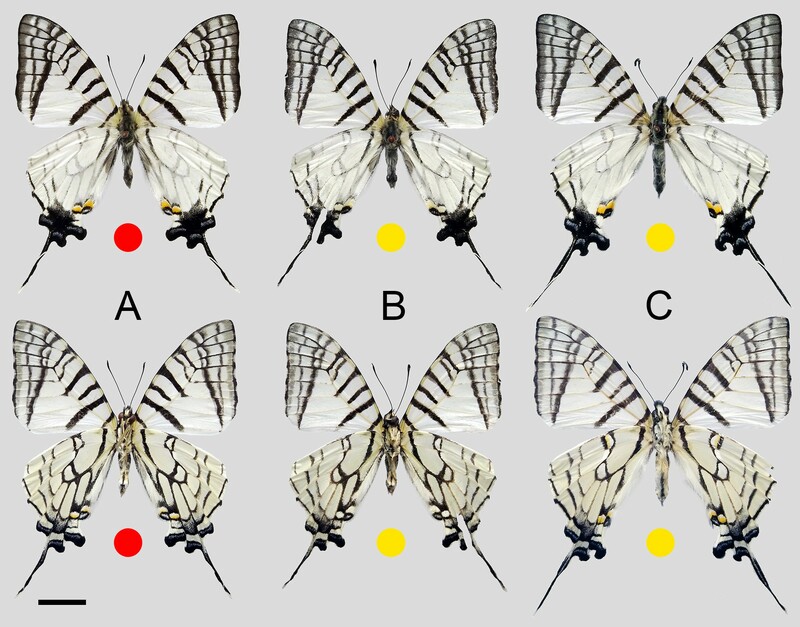 The Graphium (Pazala) mandarinus group was recently defined and the status of taxa as well as the number of species was revised. We report here the discovery of a new species from Kon Tum plateau of the Truong Son (Annamite) Range of Central Vietnam, which we describe based on morphological and molecular evidence. Molecular phylogeny shows that the new taxon, G. (P.) wenlingae Hu, Cotton & Monastyrskii sp. nov., is sister to G. (P.) daiyuanae Hu, Zhang & Cotton, 2018 plus G. (P.) confucius Hu, Duan & Cotton, 2018. Molecular dating analysis further suggests that this new species diverged from its sister clade in the Pliocene (~3.5 million years ago). The new taxon constitutes the eighth and southernmost species of the mandarinus group. Nam, C. Vietnam; scale bar = 10 mm. Wonderful work thanks Adam! Congratulations.